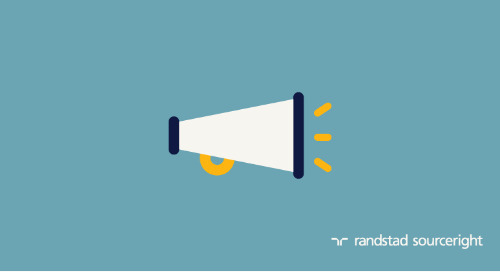 Home » Randstad Sourceright Insights » winning the war for millennial talent. As a member of the late millennial/early Gen Z workforce, I am often stereotyped as a job hopper, a phone addict and incapable of accepting criticism. At the same time, my generation is recognized for our outstanding digital skills, our willingness to seek out feedback and collaboration, and our ability to adapt quickly to new situations and technologies. It’s easy for others to label my generation, but I think we can’t be broadly generalized. And that is one reason why employers are excited about our contributions to their organizations, but it’s also why they need to be particularly attentive if they hope to successfully recruit and retain us. According to the latest Randstad Sourceright Talent Trends survey of more than 700 human capital and C-suite leaders, half said having multiple generations in their workforce has been either transformative or had a positive impact on business. More than one-third also has concerns that they won’t be able to effectively recruit millennials and digital natives if they don’t keep up with investments in talent innovations. Clearly, having age diversity is a priority for many businesses. But it’s not just about diversity. Millennials account for the largest generation in the workforce in many markets, and companies that fail to attract us lose out on a huge pool of high-quality talent who will learn from and replace retiring workers. Workforce diversity is good for both my organization and for me. Through colleague mentorship and their voice of experience, I can better integrate into corporate life. They help me to develop stronger people skills and understand how to work with leadership to shape our contributions and our roles within the organization. These are lessons I will retain for the rest of my career. I went to engineering school but now work with a global and diverse group of marketers here at Randstad Sourceright. Most people think that studying engineering is only about acquiring technical knowledge, but it’s more than that. What I learned in school was how to approach problem solving in a technical way and how to leverage tools to get results. As a digital native, learning to use the latest app or diagnosing a software problem is second nature. What advanced training doesn’t prepare us for are the personal interactions and the people skills we need to advance our careers — the intangibles that are necessary later in our professional lives to run a team or win consensus for an initiative. You often hear that millennials and Gen Z will message or text a colleague sitting 10 feet away before we’ll get up to have a conversation. That might be true for some, but I prefer having a face-to-face discussion, even if it’s just for 30 seconds. There are nuances you can’t pick up from email or text, and we get instant (and honest) answers. There are also ways that employers can use technology to facilitate personal interactions. For example, as a global organization, Randstad Sourceright regularly conducts meetings on Google Hangout, and, to a degree, this affords our team members the same face-to-face interaction with peers around the world. There is a real feeling of collaboration whenever you have face time. My generation grew up in an age where advice and feedback are easily requested and given. To keep millennial and Gen Z workers engaged, high-intensity relationships with managers are required. But don’t mistake this as being needy. We desire both positive and critical feedback and believe honesty is the most important quality in a leader. At the same time, we crave a sense of purpose for every task. This means that managers need to be specific with their feedback. close working relationships – we prefer small workgroups headed by a clear leader who can educate, as well as direct. It’s critical to our learning process. appeal to our entrepreneurial spirit – my generation is highly selective when it comes to job opportunities, so make sure to have a compelling employee value proposition (EVP) to capture our attention. invest in mentoring – with a greater need for developing interpersonal and communication skills, as compared to technical training, employers should consider how to develop softer skills as part of their training and development approach for millennials and Gen Z workers. make it meaningful – millennials and Gen Z talent wants to know that our work is purposeful, so organizations should strive to clarify the impact of our missions. When it comes to nurturing younger talent, employers need to carefully consider what will engage workers best. Every employee has unique personal and professional needs, but you shouldn’t overlook the fact that we also desire to do the best work we can while achieving a sense of purpose in our roles. It might require that employers shake things up, but the end result is a more motivated and engaged workforce. To learn more about how human capital and C-suite leaders view generational issues in their organization, visit the Randstad Sourceright Talent Trends Quarterly digital hub.